This private tour in Cambodia gives you a chance to visit the most attraction of the capital - Phnom Penh, and to explore the Sovann Phum office for a taste of traditional Khmer culture. 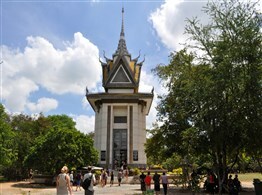 You will discover the 11th century Ek Phnom Temple before heading to Phnom Sampeau. 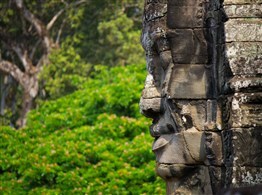 Today, you will travel to Siem Reap where you will begin your exploration of the magnificent temples of Angkor. In the afternoon, ride in the Buffalo Tours Tuk Tuk to visit the city of Angkor Thom. 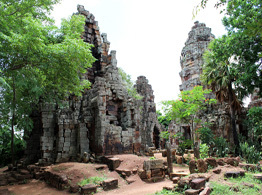 Start at the South Gate and walk along the ancient city wall to see the lost temple of Prasat Chroung. Continue to the Bayon temple, where you will be surrounded by the smiling faces of tens of Buddhas. 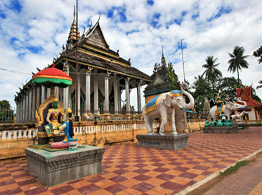 Also make visits to the Terrace of the Elephants, the Royal Palace and the Terrace of the Leper King. Dinner in local restaurant. Rise early and travel in the Tuk Tuk to visit the jungle enveloped temple of Ta Prohm. 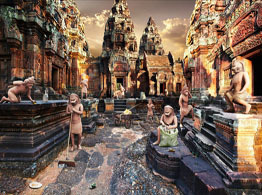 Next, you will go to the spectacular Angkor Wat. Enjoy a guided tour around this awesome structure and learn about the glories of the Kingdom of Angkor. Return to the hotel for a late breakfast and a rest. In the afternoon, head to the temple of Banteay Srei or 'Citadel of the Women'. On your way back to Siem Reap, enjoy the sunset from the top of the pyramid-shaped temple of Pre Rup. This morning drive in the Buffalo Tours Tuk Tuk to the edge of Siem Reap. Enjoy a fun ox cart ride through the countryside, then continue by vehicle until you reach the Cambodia's largest freshwater lake; the Tonle Sap. 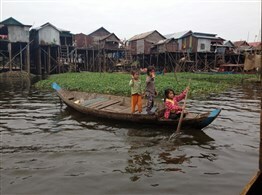 Board a boat and spend the rest of the morning at one of the largest villages on the lake which is called Kompong Phluk. In the village you will witness the fascinating daily lives of the local people who live on the water. 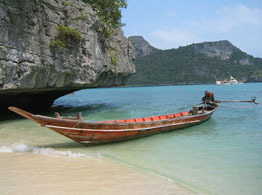 The boat service is provided by local people, and the profit goes directly back to the community. The rest of the day is at leisure. This morning depart Siem Reap and fly to Phnom Penh. 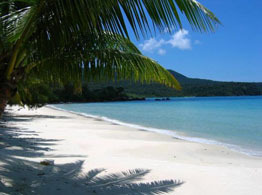 On arrival, you will be driven to the coast and the charming resort of Kep. Once you have checked in, the rest of the day is free at leisure. Today is free at leisure for you to explore this pretty resort. You may wish to wander around the town to view some of the French colonial architecture or even take a trip out to Rabbit Island to enjoy the beautiful beaches that the island is famous for. 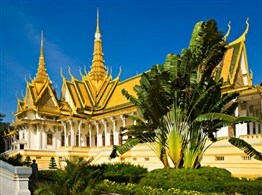 Spend the morning at leisure until you are transferred to the airport in Phnom Penh for your onward flight. Indochinavalue thanks you so much for traveling with us. We hope you had a beautiful Cambodia holiday. All the best, goodbye and see you again!